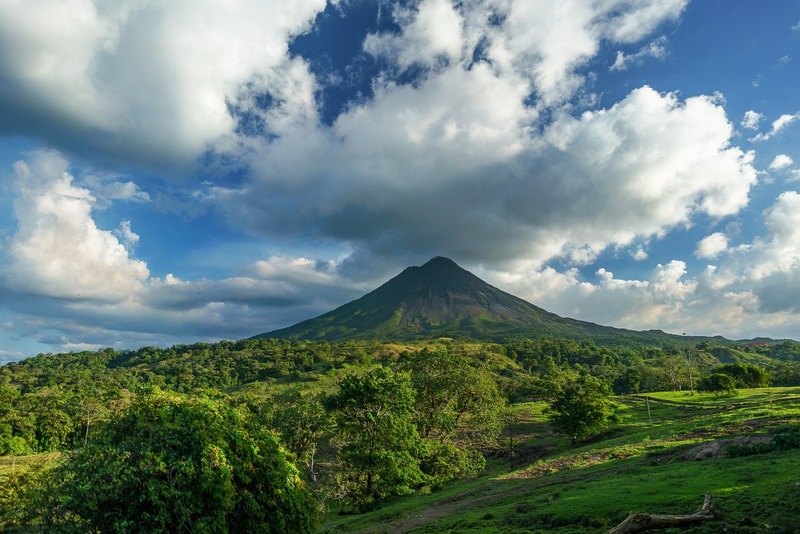 Picture this: you’re on a study abroad in beautiful, picturesque Costa Rica, in between your first and second year of medical school, learning about their health care system and practicing medical Spanish. You’re traveling to volcanoes, beaches, national parks, and national sloth reserves, taking pictures for every social media account possible, with six classmates. Seems glorious, right? Now, imagine that you’re doing all this, except you have a bright blue cast on your dominant wrist. It’s, unfortunately, a true story. We were playing pick-up soccer when an errant ball struck my classmate’s wrist just the wrong way, breaking it into a nearly textbook picture of the Colles’ fracture we saw in the third week of our anatomy class. Now, picture this as well: we’re quite obviously foreigners in this Latin American country and have no exposure to their health care system (or their emergency department). Our medical Spanish is subpar, at best. So how the heck are we supposed to take care of her? Still the relaxing trip that you envisioned four paragraphs ago? Yeah, us neither. Fortunately, our Costa Rican professor (who has no medical training) was with us and took her to the local private emergency department, where we learned an invaluable lesson about the Costa Rican health care system, it is split into two parts: public and private. The public system is the one that the Costa Ricans are most known for: a universal system that allows everyone to be seen and receive care — regardless of financial wealth or social status. It quite literally means that every Costa Rican who pays into the system will get free health care, no matter if it is a heart transplant or cough syrup. Their system means that whoever pays into the system gets seen by the same physician and receives the same care as the next person. The system that they pay into is part of a five part system, but the most similar explanation of how they pay into the system is that the government takes it out of their taxes, and that they are registered into the nationwide computer system. Their private sector offers the same services, but the Costa Ricans have to pay for the services they receive there. Now, my question is: why even have a private sector? And the answer is simple: short waiting times. For example, in the public sector, it could take four to nine months to get a mammogram, but in the private sector it is done on the same day. So when you pay for it, you get it. Richer Costa Ricans will pay the out of pocket expenses to avoid the lines and see a doctor faster. Additionally, medical training there is structured differently than in the United States; after a six-year medical education that begins directly following high school, newly minted doctors are eligible to apply for a residency, but residency spots are scarce. Costa Rica produces about 700 new doctors each year, but there are about 65 residency slots. That’s roughly 10% becoming residents after graduation. The other 90%? They become general practitioners, working in primary care clinics in both rural and urban Costa Rica. They have other options to do non-clinical specialties as well, such as public health or administration. So who staffs the Costa Rican Emergency Departments? Residency certified and trained attending physicians. There are also ED residents who work under those attendings, as well as 6th year medical students rotating in and out, just like our 4th year students do here. Funny enough, those same doctors who work in the public sector will also be found in the private sector. Lucky for us, those attendings happened to be at the private ED that our professor took my classmate to. After walking into the emergency department, my classmate was registered and seen within 30 minutes. She was examined in the waiting room of the emergency department and diagnosed with a probable fracture. The physician then told her that the charge for an X-ray of her wrist would cost $300 upfront, taking time to explain the charges. Once she agreed and paid, the X-ray technician took her back and filmed her wrist. After it was filmed, she was sent back out into the waiting room (not a hospital room), until the physician returned with confirmation of the fracture. Taking her out of the waiting room a second time, he led her back into a small casting room to cast her wrist. Total cost of the entire visit? $450. Now, had our professor taken her to the public hospital, the wait would have been much longer, but it would’ve only cost $50-$100. He chose to take her to the private hospital because he knew she had travelers insurance and he didn’t want to wait for hours on end to get her taken care of. Another question though: why did my classmate have to pay in this universal health care system? Again, another sensible answer — she’s a foreigner, she’s not in their system. She has never paid into the Costa Rican health care, so she has to pay out-of-pocket for the care she receives. Though my friend was initially disappointed to have to wear a cast for the rest of our trip, she quickly realized she was very impressed with her treatment and visit. The final price was satisfactory, but more than that, she appreciated how she was informed of the X-ray cost before agreeing to obtain the test. She felt it allowed for more transparency in her care, empowering her, as both a foreigner and a patient, to make an educated decision. As unfortunate as it was for my friend’s wrist, the personal exposure to the Costa Rican health care system was invaluable. We were learning about the health care system in our classroom, but hearing her experience fleshed things out even further. Sometimes, I guess you just have to take a soccer ball to the wrist to fully understand the lecture material!